Heat oven to 350°F. Spray 12 regular-size muffin cups with Crisco® Original No-Stick Cooking Spray. 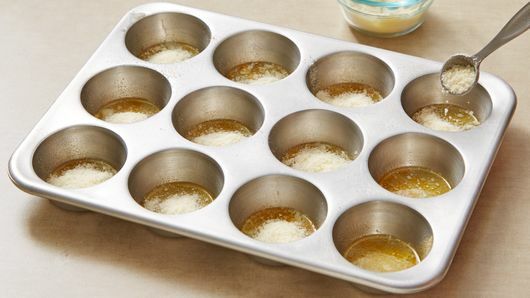 Spoon 1 teaspoon of the melted butter into each muffin cup. Sprinkle 1/8 teaspoon of the garlic powder and 1 teaspoon of the Parmesan cheese into each muffin cup. Microwave frozen spinach as directed on box 3 to 4 minutes to thaw. Drain well; squeeze dry with paper towels. 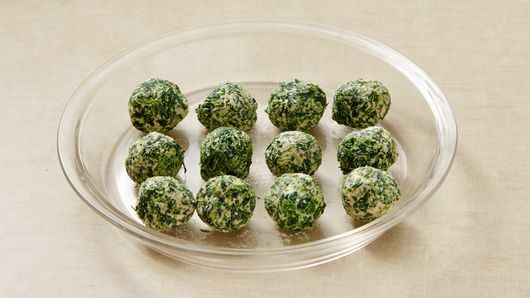 In small bowl, mix spinach, cream cheese, 1 teaspoon of the garlic powder, 1/3 cup of the Parmesan cheese and the Worcestershire sauce until blended. Shape mixture into 12 (1 1/2-inch) balls. Remove dough from can; cut into 12 equal slices. Press each to form 3-inch round. 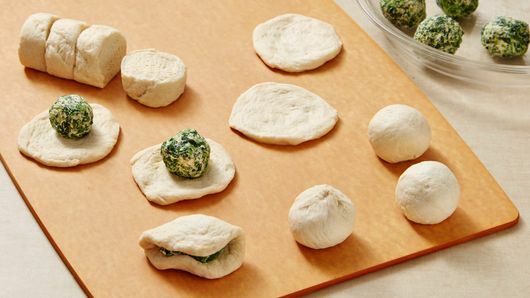 Place 1 spinach ball in center of each dough round. Carefully wrap dough around ball; pinch edges to seal completely. Place seam side down in muffin cups. Bake 17 to 25 minutes or until golden brown. Cool in pan 2 minutes. Loosen with tip of knife. Remove from pan; place on serving platter. 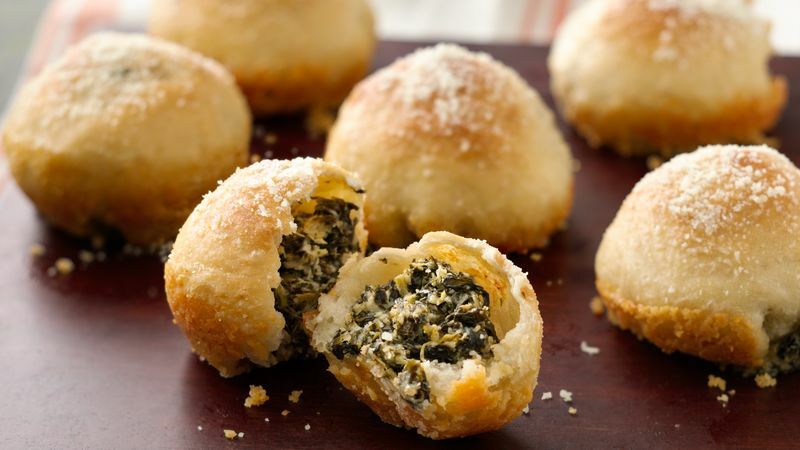 Brush each roll with remaining melted butter; sprinkle with remaining garlic powder and Parmesan cheese. Serve warm.